Of the thousands of types of tea in the world, each offers useful benefits for the body. Even the herbal tea, which is a concoction of roots, flowers, leaves, seeds, or dried fruit, also produces a drink that can relieve a variety of health problems. Had a minor problem that often you experience everyday? Try relieve some types of tea. Make peppermint tea. Peppermint relaxes the muscles that cause abdominal cramps, according to Peggy Kotsopoulos, nutrition expert and show host Peggy K's Kitchen Cures. 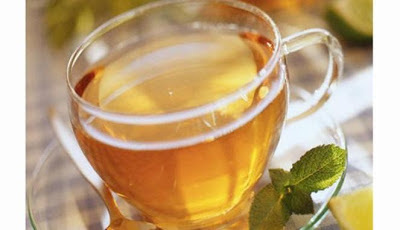 Peppermint tea can also help reduce flatulence that causes bloating, and diarrhea. Select yerba mate tea. Yerba mate is a South American plant and processed into green tea. "This type of tea has the highest caffeine content of all teas, even compared to a cup of coffee," said Kotsopoulos. Yerba mate also contains substances that stimulate the nervous system, increasing alertness and recover energy. Drinking tea liquorice (licorice). The plant is often used as liquorice peppermint lozenges. "Liquorice could ease the mucous membranes in the throat," he explained. Additionally, liquorice also has its anti-inflammatory properties that help reduce swelling and irritation. Sips of chamomile tea. To enjoy chamomile tea, you do not have to visit the cafe for tea bags with chamomile variants are widely available in supermarkets. Chamomile itself contains chemical compounds called chrysin, who worked relaxes tense muscles. Thus, this tea can help you to sleep naturally. Drink 45 minutes before you go to bed, or anytime you want to calm down.